Poster and Facebook cover image created for the Food Assembly‘s January event. 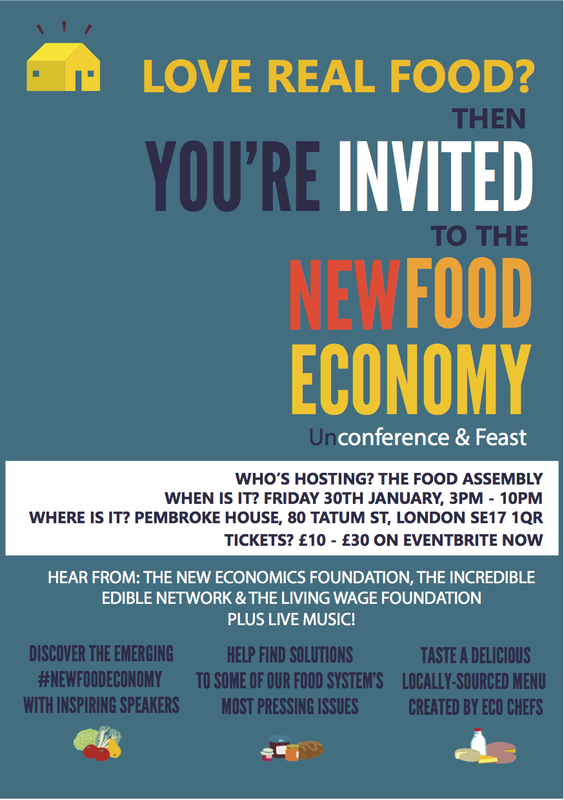 This entry was posted in Uncategorized and tagged event, Food Assembly, graphic design, New food economy, poster on January 20, 2015 by kirstystyles1. Mobile Has Changed Your Love Life – Now Change Your Business. Admit it. You probably touch your phone more than you touch your partner these days. And if you haven’t found that special someone yet, you can be on the search day and night knowing that Mr or Ms Right (or Right Now) is just a left or right swipe away. Yes. Smartphones have changed your life. And if you’re now firmly glued to your plastic and glass BFF, that means most of your customers are too. So have you done enough to make sure your mobile shop is open for business? This workshop will give attendees an overview of the great mobile opportunity, plus tips, tricks and big no-nos on everything from audiences to content, design and mcommerce. With case studies from some of the biggest mobile success stories, and failures, you’ll walk away armed with the knowledge to make your business a success, wherever your customers are. Tech Journalist and mobile expert Kirsty Styles works in the thick-of-it in Shoreditch’s tech city as a reporter for Mobile Marketing magazine. Kirsty reports on the latest news and features on everything from advertising ethics to 4G. Having worked both sides of the industry – as a journalist and for app start-up Somo – Kirsty has witnessed the lighting fast changes within mobile communications and commerce. Kirsty has a particular interest in mobile payments, mobile advertising and using mobile for good and has also spoken on these subjects at events such as Digital Shoreditch. This entry was posted in Uncategorized and tagged event, Lbb, Let's Be Brief, mobile on March 1, 2014 by kirstystyles1.